Made from light wood, the Madison Mills Accordion Porch Gate is stylish and attractive, and will give your home a great new look. Its accordion styled barrier will make anyone impossible to pass through until you know the perfect way to open it. It works perfectly whether you want to close off a doorway, your hallway or your yard gate. The wooden body makes it possible to use this safety gate inside as well as outside the house. The gate is 29 inches tall, which makes it impossible for your toddler or smaller pets to climb over it. At the same time, the gate can be folded out to become 42 inches wide when fully extended, which is big enough for any doorway or hallway. When not in use, you can fold the entire gate back into one side and it becomes less than inches, which is hardly noticeable. This is a great way to make sure you don’t always have to keep on opening and closing the gate even when you don’t need to use it. The Accordion Porch Gate is hardware mounted, which means that you won’t have to keep on worrying that an older child or a bigger pet might be able to knock it down. All the hardware needed for mounting comes with the gate in attractive packaging, and the mounting is easy and doesn’t take too long with the proper tools. 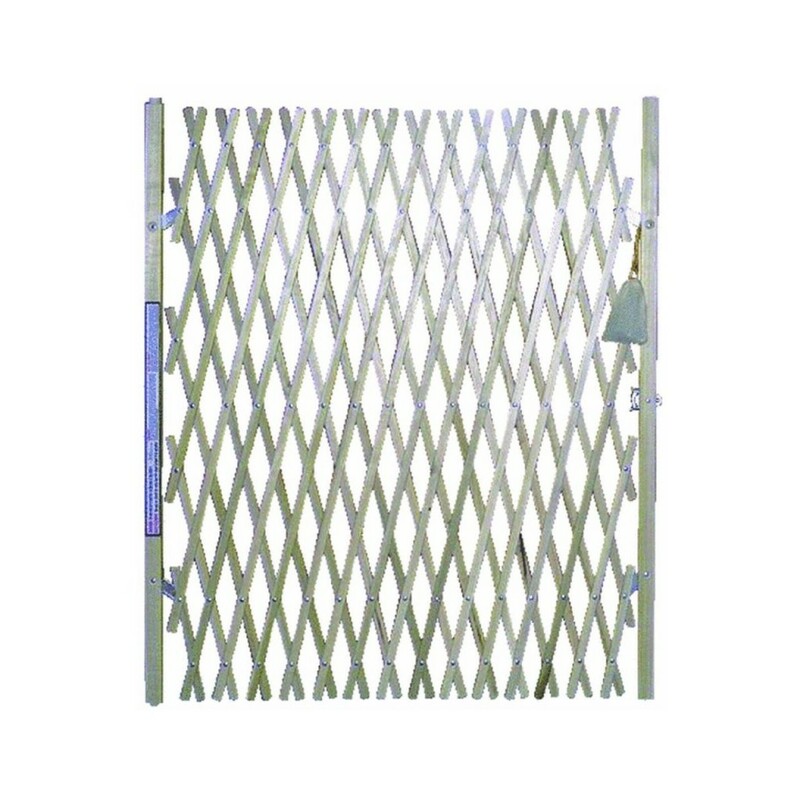 It is a flexible gate that you can use anywhere – from small openings to larger ones; it can be opened up to 42 inches, but can be also used in smaller doorways with equal ease. 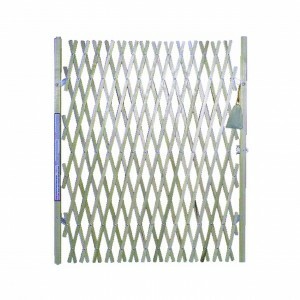 Finally, the Accordion Porch gate from Madison Mills costs comparatively less than many other safety gates, which is especially helpful if you have a bigger house and need more than one gate to keep your family safe. The Madison Mills Accordion Porch Gate is made from light wood which might seem flimsy to some parents, especially if you have a stronger and older child and big pets. If a child tries too much, they may be able to damage the gate to some extent.